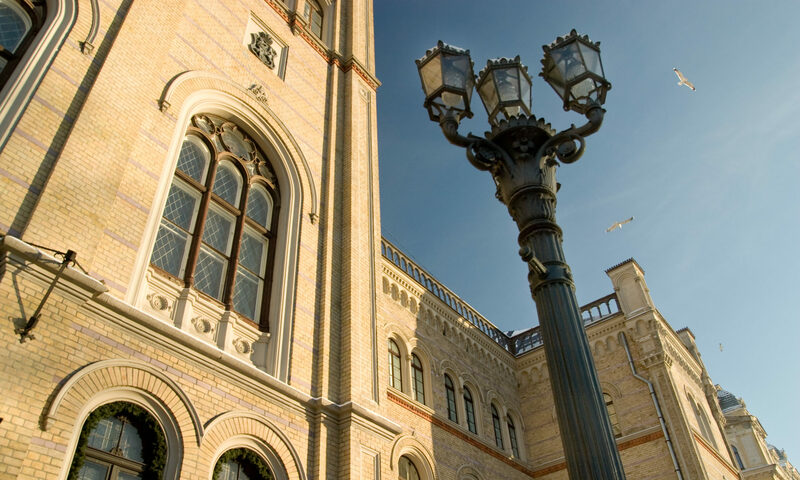 The ESSLLI 2019 Student Session will be held during ESSLLI 2019 at University of Latvia, Riga, Latvia, between the dates of August 5 – 16, 2019. The Student Session is a forum for PhD and Master students to present their research at the interfaces of logic, language and computation. It features three tracks: Logic & Computation (LoCo), Logic & Language (LoLa), and Language & Computation (LaCo). Note that these are tentative dates, and are subject to change! About: We invite submissions of original, unpublished work from students in any area at the intersection of Logic & Language, Language & Computation, or Logic & Computation. Submissions will be reviewed by several experts in the field, and accepted papers will be presented orally or as posters. Selected papers have regularly been appearing in the Student Session proceedings published by Spinger (https://dblp.uni-trier.de/db/conf/esslli/). This is an excellent opportunity to receive valuable feedback from expert readers and to present your work to a diverse audience. Oral/Poster Presentations: Note that there are two separate kinds of submissions, one for oral presentations and one for posters. This means that papers are directly submitted either as oral presentations or as poster presentations. Reviewing and ranking will be done separately. We particularly encourage submissions for posters, as they offer an excellent opportunity to present smaller research projects and research in progress. Sponsorship and Prizes: Springer generously supports the ESSLLI Student Session by offering prizes for a total of 1000€ in Springer books. The best poster and the best talk will each be awarded Springer book vouchers of 500€ each. The prizes are awarded based on the reviews of the submission as well as the oral/poster presentation. Below you can find the submission and publication policies for the Student Session. All authors must be students, i.e., authors may not have received their PhD degree before August 2019. Submissions may be singly or jointly authored. No one may submit more than one singly and one jointly authored paper. If a student wants to submit both to the Student Session and to another workshop hosted by ESSLLI 2019 the presentations should be different from each other. Submissions should not be longer than 8 pages for an oral presentation and 4 pages for a poster presentation (including examples and references). Submissions must be in PDF format. We strongly recommend to use the LNCS Springer class files for LaTeX2e, since accepted papers will have to be written in this format for the proceedings (See below for more information). If you do not use this template, make sure that your submission meets the following criteria: DIN A4 (21 cm x 29.7 cm), 4.5 cm top margin, 4 cm right margin, 6.5 cm bottom margin, 5 cm left margin, Helvetica, 10 pts. Submissions must be anonymous. That is, the submitted PDF file is not allowed to contain any information by which the author(s) can be identified, e.g., no author names. Submissions must be received by March 23, 2019 (by 23:59 GMT time) and must be submitted through EasyChair. If a paper has been accepted for the program of the Student Session but the author(s) cannot attend the Student Session and present their work, the paper might not be accepted for publication. Accepted papers will have to be written in LaTeX in standard LNCS format (10 pts), by using the Springer class files for LaTeX2e (You can find more information about this format here). Authors are expected to improve their papers according to the the reviewers comments and suggestions. Attendance of the ESSLLI 2019 Student Session including presenting a poster or a talk requires registering for ESSLLI.